Is direct dialogue a good idea? Jump to media player Deputy Prime Minister, Nick Clegg has become the first cabinet minister to host a weekly radio phone-in show. 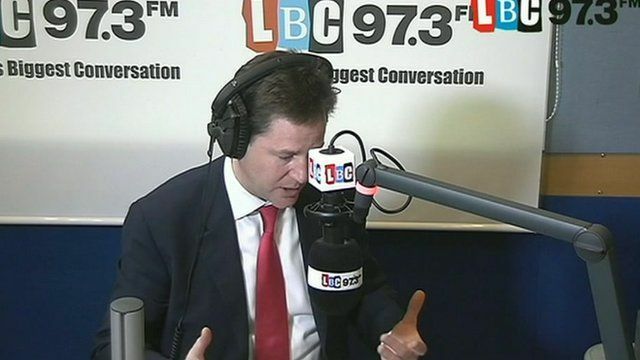 Nick Clegg phone-in: Is direct dialogue a good idea? 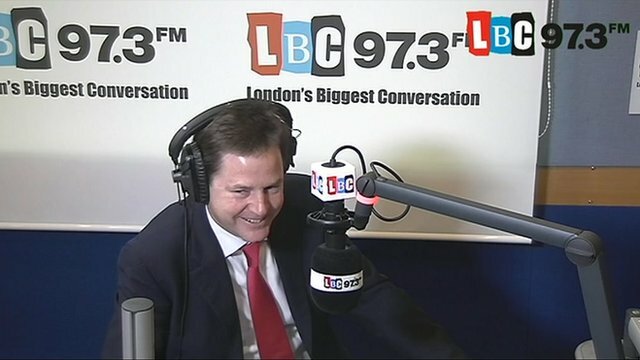 Deputy Prime Minister, Nick Clegg has become the first cabinet minister to host a weekly radio phone-in show. 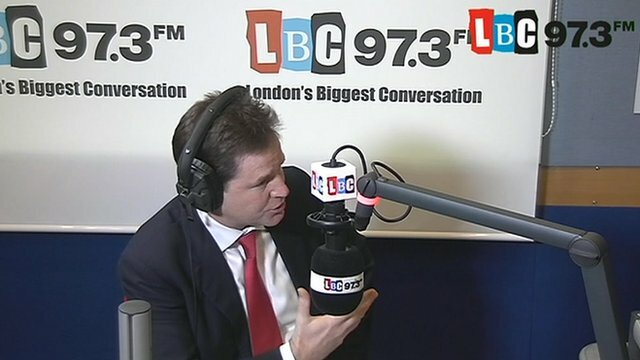 Listeners to the London-based talk radio station LBC will be invited to put their questions to Mr Clegg for half an hour every Thursday. The Lib Dem leader currently has the lowest approval ratings of all three main party leaders and the weekly show has been seen as an attempt to win back popular support. But is it a good idea for politicians to make themselves accessible in this way?